Located at South entrance of Denali National Park. Pioneer Alaska family owned & operated. Old time Alaska atmosphere in a quaint wooded setting. 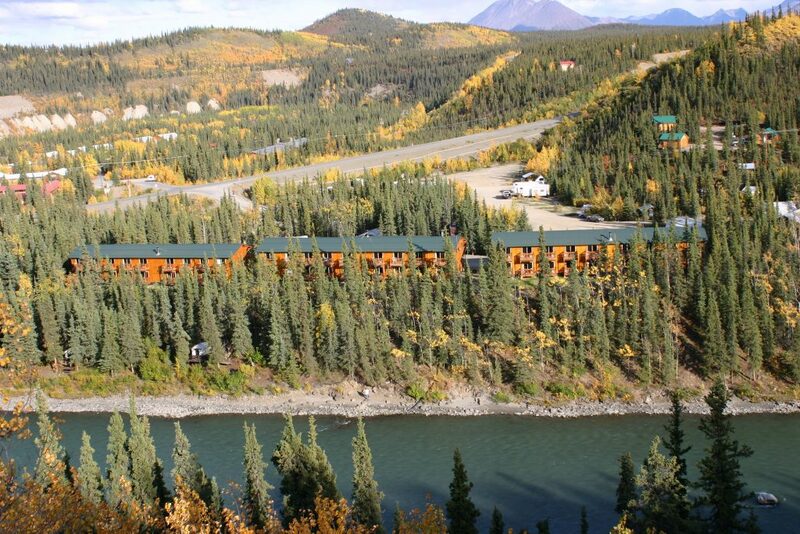 We offer a variety of 33 charming, cozy, unique cabins, many with private decks on Nenana River $78-$329. Beautiful 92 room Cedar hotel, every room on river with private decks. We have a small RV Park and scenic wooded tent camping. Food trucks, convenience store, liquor store,propane,gift shop, and laundromat on property.